Alon Fliess is the Chief Architect and founder of CodeValue. CodeValue delivers a full-spectrum of software services, builds and designs software tools, foundations and products. CodeValue’s flagship product is OzCode – an Amazing debugging add-on for Visual Studio. 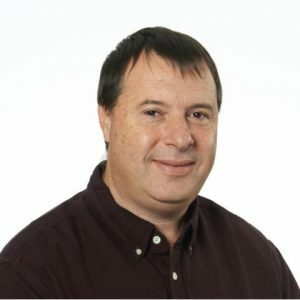 With more than 25 years of experience Alon has done many major software development, design and architecture for global leading and cutting edge companies such as KLA-Tencor, Kodak, Rapaport Diamonds.Net, Landa Labs, LivePerson, Israel Aerospace Industries, Rafael, B&H Photo & Video, Elbit Systems, and many more. Alon is recognized as a Microsoft Regional Director since 2010 and a Microsoft MVP since 2005. Alon serves as a focal point between Microsoft product teams and their customers, helping product teams to better understand their customers’ needs as well as assisting customers in leveraging Microsoft’s technologies. In 2013 Alon was awarded the MVP of the year. Alon has expertise in many technologies, be it Microsoft Azure Development, Internet of Things – hardware & software development, .NET with C# on Windows (UWP) and Linux (.NET Core), C++ cross-platform development (Windows, Linux & embedded). Alon is very well known within the international community of software developers and considered to be a trusted advisor for all software development related issues. Alon is a co-author and technical reviewer of several books, He is also a frequent “Developer course” instructor and conferences speaker. Alon is a co-leader of Azure Israel – The Israeli Azure Developer Community.